WMS mentor earns regional recognition | Keizertimes | You think you know. To be sure, read Keizertimes. Whiteaker Instructional Mentor Matt Hurst was recently honored as the 2019 Outstanding Technology Educator of the Year by the Northwest Council for Computer Education. Instructional Mentor Matt Hurst (second from left) after being honored as the 2019 Outstanding Technology Educator of the Year. The Northwest Council for Computer Education (NCCE) recently honored a Whiteaker Middle School instructional mentor as the 2019 Outstanding Technology Educator of the Year. 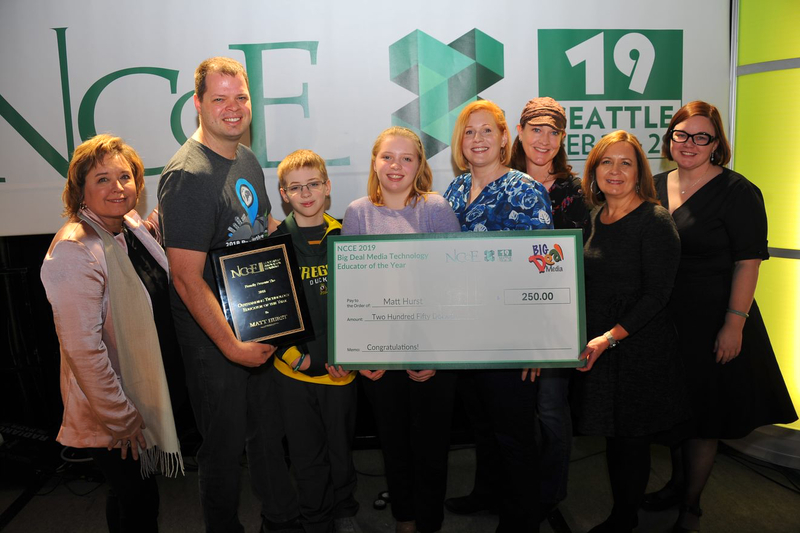 Hurst, along with Whiteaker Principal Julia Dewitt, traveled to Seattle in February he accepted the award and a $250 cash prize. Hurst was honored for being a strong peer leader and instructional mentor at the middle level and throughout the district and state. His contributions have been effective and shared by the whole district. He introduced 1:1 iPads before the district has any 1:1 program. NCCE is a national educational technology professional development organization. Big Deal Media, a publisher of resources for educators, provided the cash prize. Hurst has attended NCCE event for several years and presents his findings and shares his expertise with peers. Hurst joins a prestigious group of technology educators in the Northwest, including IT directors, superintendents, ESD technology directors and principals.